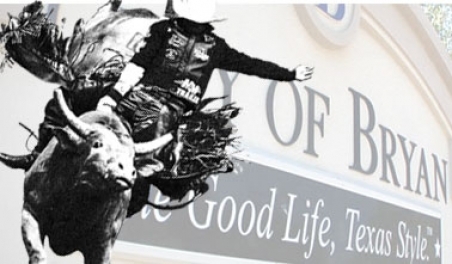 Since 1971, the Bryan Breakfast Lions Club has hosted the Bryan Breakfast Lions Club PRCA Rodeo. The three-night event is produced by the Sammy Catalena Rodeo Company, whose patriarch is also a Charter member of the Bryan Breakfast Lions Club. It is with great enthusiasm and dedication that both organizations work to bring to the Brazos Valley one of the top family events of the year. In mid-1971, a small group of men, members of the Bryan Lions Club, explored the possibility of forming a new club, to be the first in the city to meet in the early morning. These men worked to secure the necessary number of members to request a charter for the new organization. The charter night banquet was held October 26, 1971, with Past District Governor Don A. Buckalew as speaker. Today, the club meets the first and third Friday of the month and is involved in many service projects around the community, including: the BISD Education Foundation, BHS Project Graduation, The Children’s Museum, Brazos Valley Hospice, the Brazos Valley Rehabilitation Center, Brazos Food Bank, the Bryan Viking Band, Cub Scout Pack No. 559, Habitat For Humanity, Local Eye Glasses, Phoebe’s Home, Red Ribbon Campaign, Salvation Army, and Still Creek Ranch. About the Sammy Catalena Rodeo Co.
Sammy Catalena Rodeo Co. headquartered in Bryan Texas, joined the elite ranks of Professional Rodeo Cowboys Association as a stock contractor in 1987. Sammy Catalena has cultivated a string of quality bucking animals that include more than 165 head of horses and 80 bulls. We are especially proud that some of our horses and bulls consist of National Finals Rodeo selected stock. At the 49th Annual National Finals Rodeo in Las Vegas, Nevada our bull, South Point, won the Top Bull in the fifth round. In addition to the rodeos and bull ridings we produce, we have supplied stock to many major rodeos across the nation including Denver, Colorado; Phoenix and Window Rock, Arizona; Kansas City, Missouri; Baton Rouge, Louisiana; Houston, San Antonio and Fort Worth, Texas; and Las Vegas, Nevada. In 1996, Sammy Catalena Rodeo Company traveled to the tropics where we produced the Sammy Catalena’s “Caribbean Wild West Tour” with eight rodeo performances on the islands of Aruba and Curacao. Because of the tremendous competition for today’s entertainment dollar, the Sammy Catalena Rodeo Company is dedicated to providing a fast, action-packed rodeo with national finals quality stock. Our rodeos feature colorful opening ceremonies and nationally renowned specialty acts.